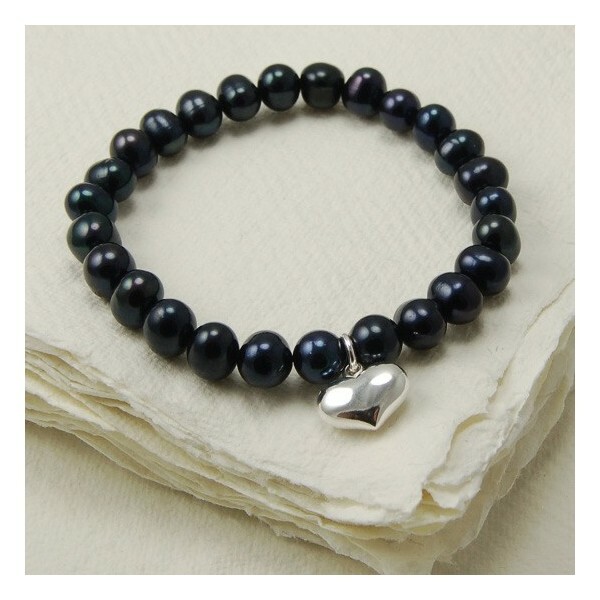 Beautiful stretch black freshwater pearl bracelet with sterling silver heart charm, comes with white organza bag for storage. Ideal valentines present. Beautiful chunky pearls....pearls approximately 7mm in diameter. Stretch bracelet threaded on elastic for ease of getting on and off the wrist. 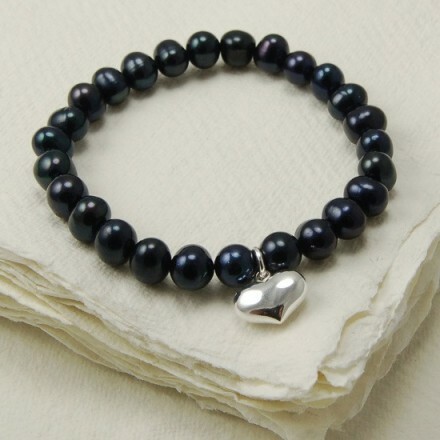 Bracelet length approximately 20cm long, each pearl approximately 7mm in diameter. Each pearl is almost but not quite round in shape. The sterling silver heart charm is approximately 16mm in diameter. Comes with a beautiful white organza bag. Fantastic present for a special occasion, birthday, anniversary, bridesmaid present..